Click on the magazine cover or any of the viewed pages below to read. 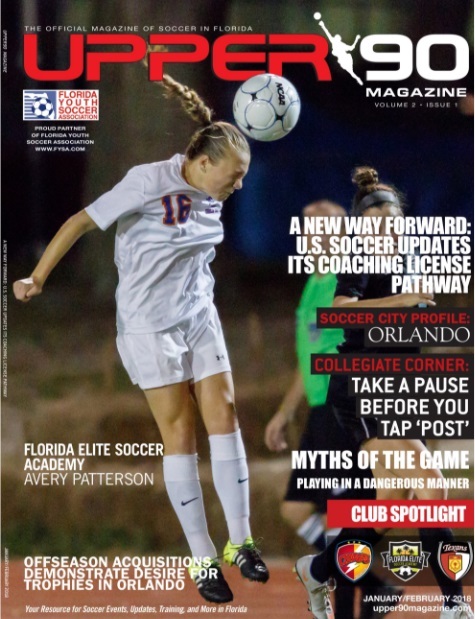 Although there are so many areas of the club - players, team, coaches and staff - that could easily be highlighted in a soccer magazine, this particular edition of the Upper 90 magazine highlighted the Club as a whole and referenced a couple of competitive teams and players. 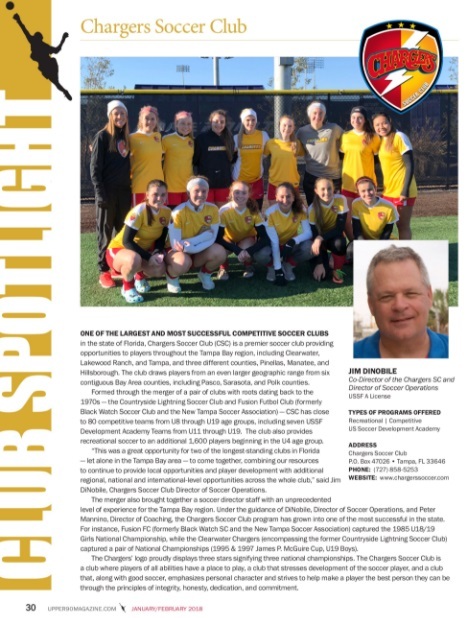 Page 30 - Highlights the overall Club and displays photos of Jim DiNobile, Director of Soccer Operations, and the CLW G2002 Premier team (coaches by Kelli Haemmelman). 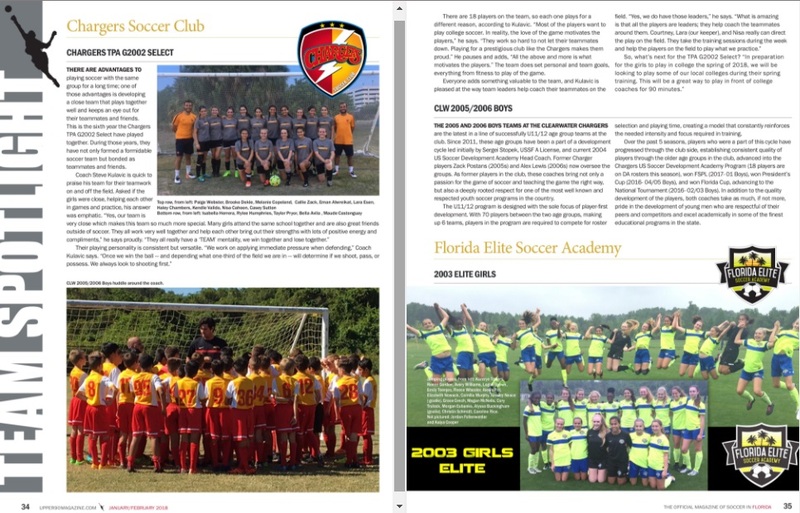 Pages 34-35 - Highlights 2 competitive teams: (1) TPA G2002 Select team coached by Steve Kulavik & (2) the CLW U11/U12 boys (coached by Sergei Stopek, DA; Zack Postans, U11/B2007; and Alex Lewis, U12/B2006). 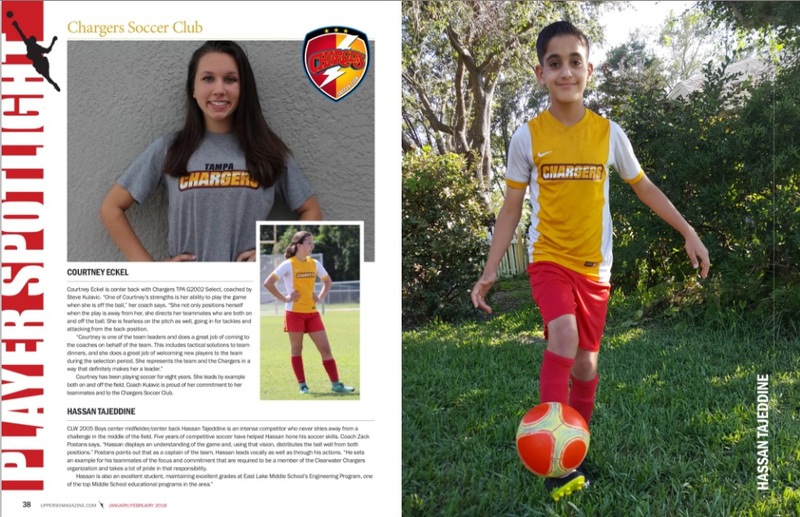 Pages 38-39 - Highlights two Charger players: Courtney Eckel, TPA G2002 Select and Hassan Tajeddine, previously with CLW B2005 and now with the U11/12 Development Academy.